Back in January of 2013, fifteen Best Buy and Future Shop locations shut down as part of the company’s “Renew Blue” strategy. As of this morning, all Future Shop locations across Canada have shut down, surprising its 10,000 employees, and customers, according to media reports. 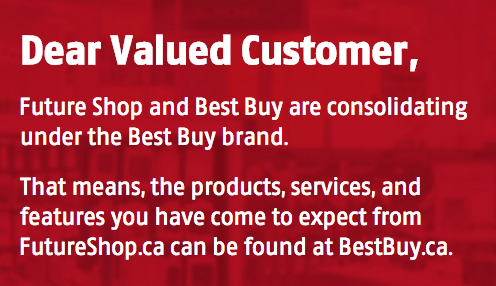 We’ve reached out to Future Shop for comment to see which stores will turn to Best Buy locations and will update this post. 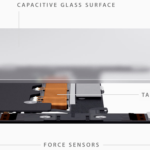 No statement has been released yet by the company. Future Shop has over 10,000 employees across its 140 stores coast-to-coast. The company is a division of Burnaby-based Best Buy Canada Ltd., which is owned by Best Buy Co., Inc. in the USA, which purchased the chain back in 2001 for $580 million. These closures mean Apple customers have one less authorized retailer to purchase products from, especially those without Apple retail locations in their area or a Best Buy. The company was also a major player in wireless, constantly signing up new customers and performing hardware upgrades for Rogers, TELUS and Bell. For those on the westcoast, this is like the death of A&B Sound all over again, which was put into the grave–by Future Shop. You have to feel for these employees and how shocked they must be showing up for work, only to find out their jobs have been eliminated. Let us know if you see anything at your local Future Shop location. The company has also listed a FAQ, which states select stores closed today will reopen on April 4, 2015 as Best Buy locations. Those in close proximity of Best Buy stores are done. 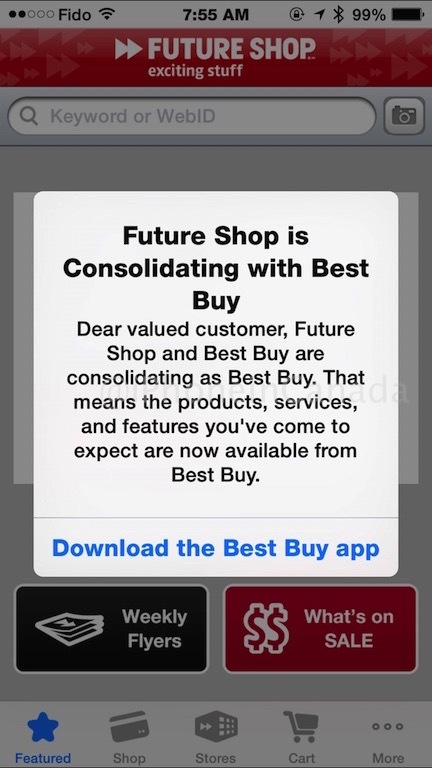 The site also notes the Future Shop iOS app will be shut down in favour of the Best Buy app. A spokesperson told the Vancouver Sun 500 full-time and 1000 part-time jobs will be lost. Meanwhile, 66 locations will permanently close, while the remaining 65 will turn into Best Buy locations. 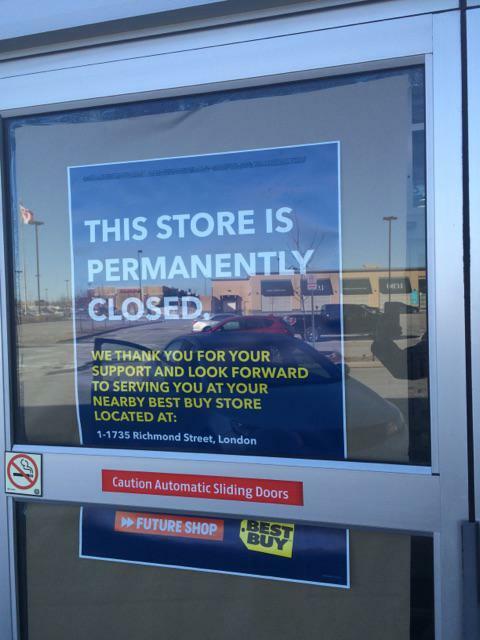 BREAKING: 66 Future Shop stores across Canada have been shut down. The other 65 will become Best Buys. As a result of this consolidation, approximately 500 full-time and 1,000 part-time positions will be eliminated. The affected employees will receive severance, employee assistance and outplacement support. investing in the online shopping experience, for example by expanding in-store pick-up areas for online customers and launching a ship-from-store program, making in-store inventory available to online customers across the country.